Sadly, some ‘non-natural’ colours, like pink, fade like there’s no tomorrow! This might drive you mad in the short term, but in all honestly, do you really want it to be permanent? 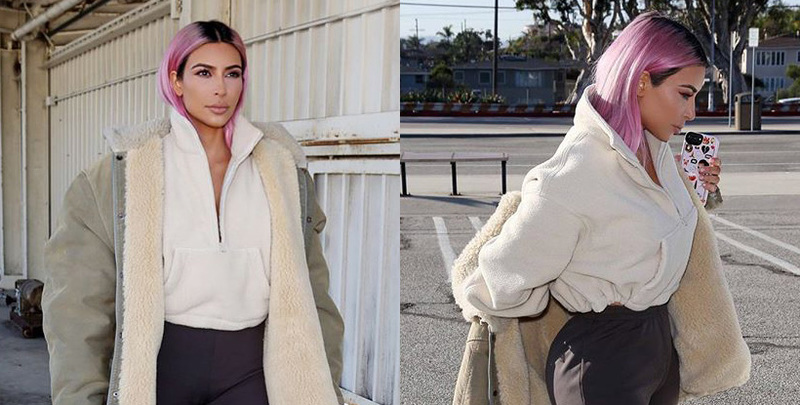 Unlike blue dye, pink pigment won’t stain your hair for life after one application, leaving you free to switch up your look sooner. The red pigments in pinks have larger molecules than most other colours and cannot easily penetrate or be retained by your individual hair strands, meaning you need to keep their levels topped up. 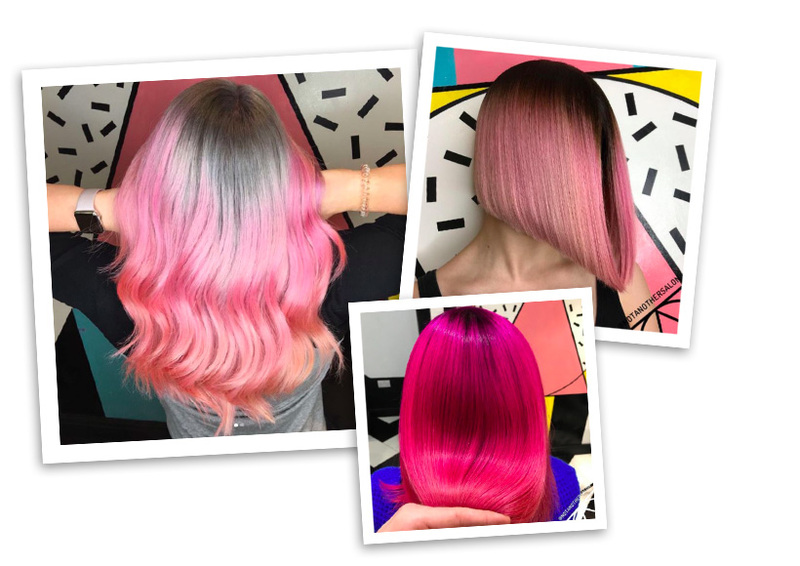 At Not Another Salon, we suggest refreshing your colour weekly in the shower, and sell convenient take-home pots of colour (including pink) to help clients maintain their vibrant shades for longer. The outside of your hair is made up of millions of cuticles, and these cuticles act like lots of little doors wrapped around your hair to protect it. With the impact of heat, colouring and other outside factors, it’s as if the doors are constantly opening and closing, and so the hinges get weakend… and some of the doors fall off! This then means that when you are desperately trying to keep a colour particle in – in this case, your pink shade – you can’t because the colour literally keeps falling out of the door frames. 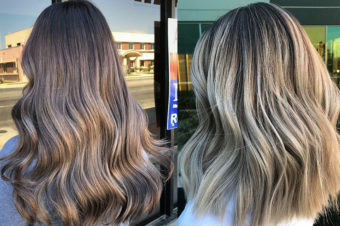 To fight this at Not Another Salon, we use Innoluxe. We mix it in with the colour to actually mend the damage at the same time as putting the colour in. It’s one of a few formulas known as ‘bond builders’ – it’s pretty revolutionary and to be honest, one of the only products to really change the game in hairdressing in about 20 years. 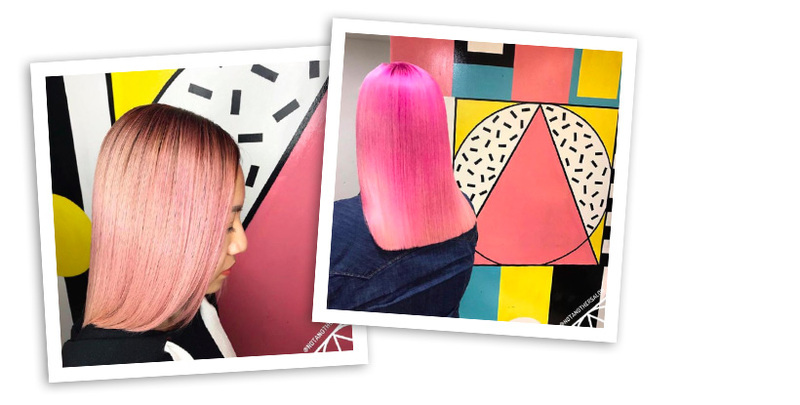 If you’re still LOVING your balayage, but want to try something new, adding a flush of pink is the perfect option. 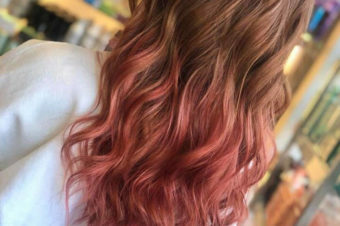 A rose gold pink in particular will temporarily mask any brassiness, will only last a couple of washes and your stunning balayage will remain untouched. Great for a party, or thinking futher ahead, festival season! Demi? Semi? Er, what’s the difference…?